OMG Posters! 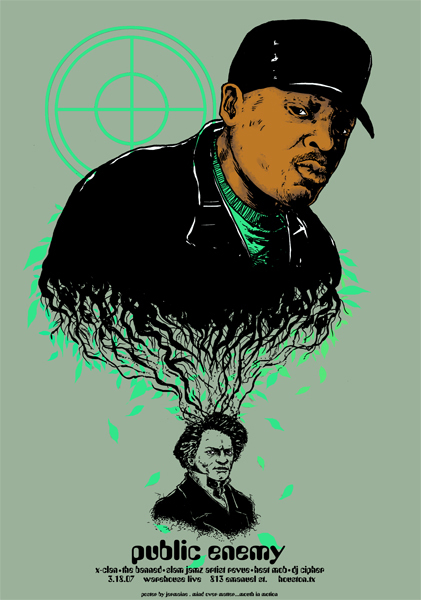 » Archive Jermaine Rogers Public Enemy Poster Release Info - OMG Posters! Jermaine Rogers will release his brand new Public Enemy poster this Friday, May 25, at 1pm PST. The print is 16″ x 20″, signed/numbered in a tiny edition of 100. Jermaine’s stuff sells out extremely fast, so if you are after this one, do not delay. In other news, Jermaine is continuing to work with the Deftones on another series of posters, as well as gearing up to release a Morrisey print next week. To grab the Public Enemy poster, visit JermaineRogers.com, and be punctual.